← Visiting my Primary School, 21 years on. Over the past four years I have had countless conversations with people about the issue of young people and religious radicalisation. It has been an area of intense interest for me, and I thought it might be timely to offer some reflections on my own experience of the issue. My work included being youth worker and manager of a youth service in Western Sydney’s Auburn- an area known for its cultural diversity and strong Islamic presence. In fact, the location of my work was just around the corner from the infamous Bukhari House Mosque and bookstore. If you have not heard of Bukhari House, a simple Google search will tell you everything you need to know. 1. The vast majority of people I conversed with had never personally met a young person who had been radicalised. Often they had not even met a young person of Islamic faith at all. Of course, not everyone can be expected to come into contact with these individuals but one would hope this lack of personal engagement would temper the surety of their claims to know how to fix the problem. 2. Almost no-one had read the Quran or Hadith , despite their passionate (and somewhat arrogant) claims of what Islam is or isn’t. Religion must be one of those few areas left in life in which one can so boldly have an opinion without having engaged with its basic texts. It’s kind of like a psychologist diagnosing a client having never consulted the DSM. Within the community services sector, and the youth space specifically, the problem of radicalisation is so often treated as if it is merely some sort of sociological phenomena that will go away if we host a fun community engagement event, secure the right funding for a arts project or institute a really cool and relevant mentoring program. This approach was reiterated to me just a fortnight ago, when I attended a panel discussion event looking at the issue of youth radicalisation. I was attending in an official capacity, which meant that I was not able to be intellectually true to my own views, which was frustrating as the theme of the night rapidly turned into an anti-west polemic. The icing on the cake was when the ABC cornered me at the end of the event and asked for my comments. The marketing and communications department of my previous work told me that I was to keep things positive, bland and ‘top line.’ At no point was I to acknowledge radicalisation was a significant issue. I was to stress a focus on social cohesion and harmony. Without wanting to devalue the proven benefits of community engagement initiatives, my view is that the problem of radicalisation runs far, far deeper and that by treating the problem as a mere social cohesion issue we significantly devalue the ability of young people to form a religious identity that they actually believe in. Considering that almost anyone can turn to the Quran and find theological justification for just about anything, it seems obvious to me that a massive shortcoming of the current radicalisation debate is its tendency to completely overlook the significance of faith and religion for these young people. There is so much scriptural justification for abhorrent violence in both the Quran and Hadith that it largely becomes of question of which particular Surah you or your Sheikh wants to get his authority from. If a young person forms a violent interpretation, it is not enough to just say ‘you are wrong, that’s not the real Islam.’ Rather, such interpretations must be shown to be theologically and historically incongruent with the central tenets of Islam. My own experience in working with radicalised and at-risk youth has demonstrated to me the depth of theological insight and conviction many of these young people hold, even if it is fanatical, destructive and incongruent with mainstream interpretation. They often display a political and religious awareness that needs to be intellectually reckoned with rather than glossed over. I recently read the blog of James Balardi, which spoke of his journey towards extremism. I was struck by his awareness of history and world conflicts, as well as his very real sense of grievance. It’s a fascinating and tragic glimpse into the mind of a young person who had found something to believe in. 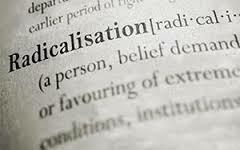 At its source, the problem of radicalisation is the clash of two competing ideologies and visions for the future, each of which are largely irreconcilable with the other. It is, admittedly, an uncomfortable reality which is not readily spoken about (save for the likes of fearless thinkers such as Sam Harris) because it cuts to the heart of what we like to think about ourselves as a peaceful, multicultural society. Nevertheless, it is my opinion that if we want to effectively tackle radicalisation we must start at its religious heart. This entry was posted in Uncategorized and tagged community engagement, islam, radicalisation, religion, youth. Bookmark the permalink.